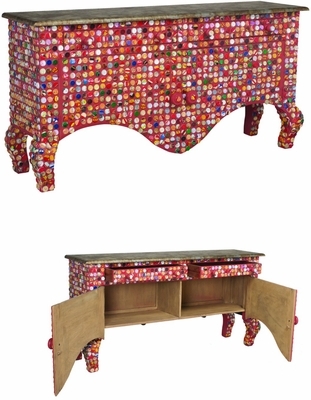 BOTTLECAP CREDENZA - Signature Red finish on solid wood credenza completely adorned with reclaimed bottlecaps. Top is finished in rustic metal. 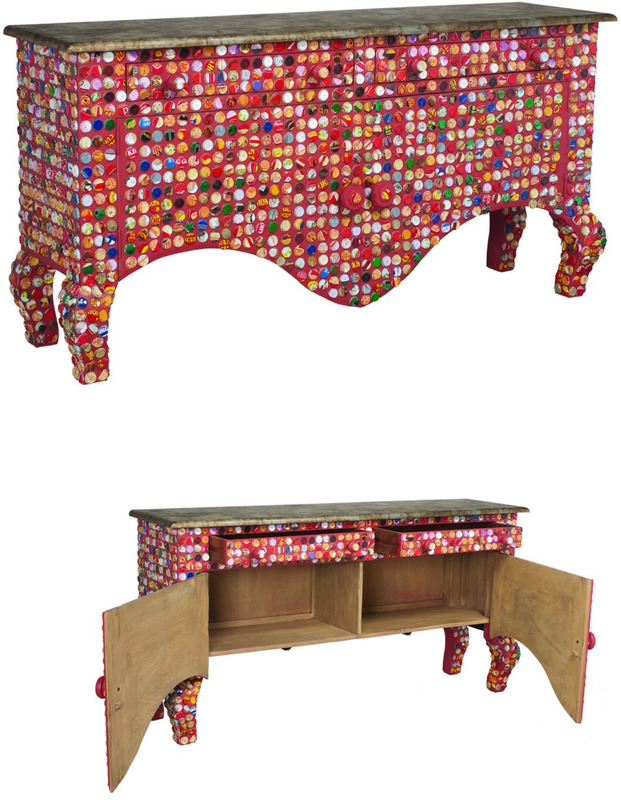 wood drawer and door pulls embellished with reclaimed bottlecaps.